Published: Oct. 29, 2018 at 10:41 p.m. Published: Oct. 21, 2018 at 03:29 p.m. 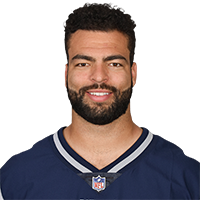 Published: Sept. 30, 2018 at 02:25 p.m.
Miami Dolphins quarterback Ryan Tannehill muffs snap, New England Patriots linebackler Kyle Van Noy recovers for turnover.